Dr. Philip Clay Haas earned his professional doctoral degree from the College of Osteopathic Medicine of the Pacific in Pomona, Calif. He completed his internship at the Oklahoma State University Center for Health Sciences in Tulsa, Okla., and finished his residency at the Mayo Clinic College of Medicine and Science in Rochester, Minn. He completed further training during his fellowship at Baylor College of Medicine in Houston. Board certified in cardiovascular disease and interventional cardiology, Dr. Haas specializes in advanced interventional procedures (chronic total occlusions, percutaneous left ventricular assist device supported PCI, etc. ), clinical adult cardiovascular medicine, interventional cardiovascular procedures (angioplasty, stents, atherectomy, etc. of the coronary and peripheral vessels), pacemaker implantation and monitoring, and transthoracic/transesophageal echocardiography. A fifth-generation Texan, Dr. Haas has cared for patients in the Houston Heights, Memorial City and Katy areas. Dr. Haas is a true believer in the philosophy of treating the “whole patient” and finds great satisfaction in maintaining long-term relationships with his patients, often many years after he initially encountered them during a life-threatening crisis. 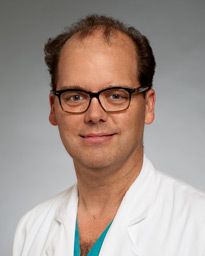 In addition to a comprehensive hospital and office based clinical practice focusing on interventional cardiovascular procedures, he has held leadership positions at Memorial Hermann Greater Heights Hospital and other area hospitals.. An assistant professor at McGovern Medical School at UTHealth, Dr. Haas is a member of the Texas Medical Association, the Harris County Medical Society and the Texas Heart Institute Cardiac Society. In his free time, Dr. Haas enjoys skiing, hiking, biking, going to the beach and traveling. Most importantly, he loves spending time with his wife and three daughters.